The theme for today’s Be Inspired Hop is “My Favorite Technique.” How fun is that?! I don’t dabble in techniques very much – when I do, I usually play around with it once or twice before moving on to something new. One tried-and-true technique that I always come back to, though, is Paper Piecing. That’s what I’m showcasing on my fun card today! If you aren’t starting the hop here, then you probably just popped over from a visit with my adorable Aussie friend Louise Sharp at louisesharp.com. She only shares amazing things! Paper Piecing. Paper piecing (not to be confused with paper piercing) is an easy way to use scraps of paper to give scraps of paper a starring role on a project. How does paper piercing work? It’s simple! I stamped the “WILD ABOUT YOU” sentiment from the Pieces & Patterns stamp set on a piece of Eastern Palace Specialty Designer Series Paper and again on a piece of Whisper White. I snipped the letters from the Lemon Lime Twist piece of patterned paper and then glued them on top of the ones in Whisper White. How easy is that?! Paper piecing is best with images that are designed with chunky lines or sketchy lines because those stamped images are easiest to snip. I also stamped this sweet bear (also from Pieces & Patterns) on a piece of wood grain paper from Wood Textures Designer Series Paper Stack, snipped him out and planted him right between the “I” and “L”. How cute is he?! 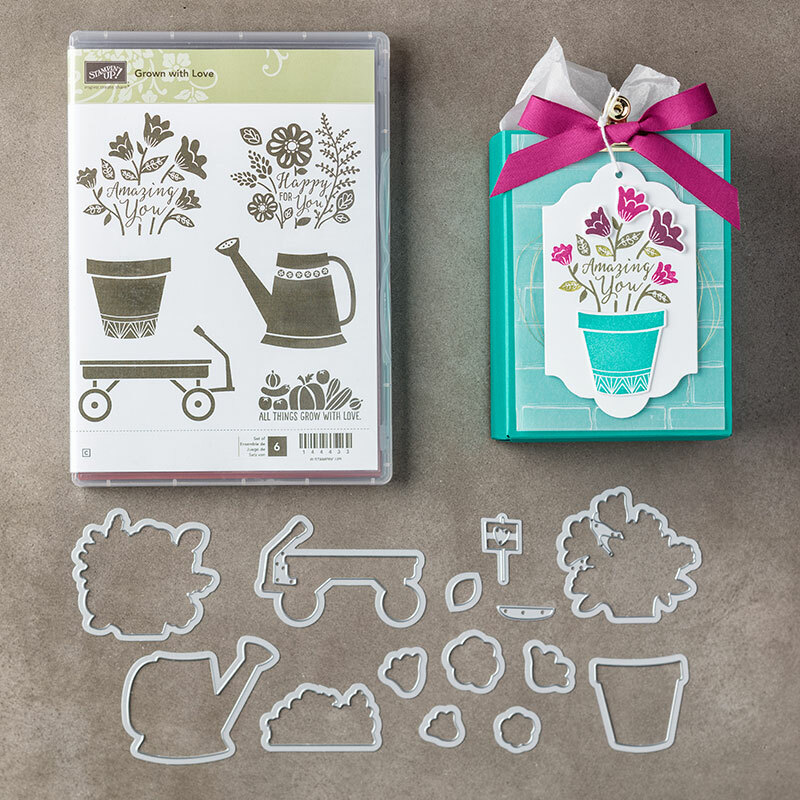 Grown with Love Bundle, Stampin’ Up! Fun color combinations. Your little bear looks more tame than wild but that is ok – safer that way. Plus no feet or toes to worry about! Now I am wondering what is my favorite technique? Gotta hop along now…..
Oh Brian – I love bright and cheerful and you cannot get any more bright and cheerful then today’s card! I hope your having an amazing time in Thailand. Did you make the hike to see Big Buddah? Thanks for sharing even while you are away. I do like the idea of bears protesting but if you say they don’t, I believe you. Love the sign from Garden Grown Thinlits. Nice card. Hope your having a fun time on your trip. Simply WILD about this cute card and fun stripe!